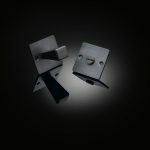 Designed by David Adjaye, one of the most important architects on the world stage, this bathroom set subverts our ideas of what a knob should look like, with its angular form, expanding as it comes towards the user. It has been designed to co-ordinate with the medium wedge door knob and the large wedge door knob. 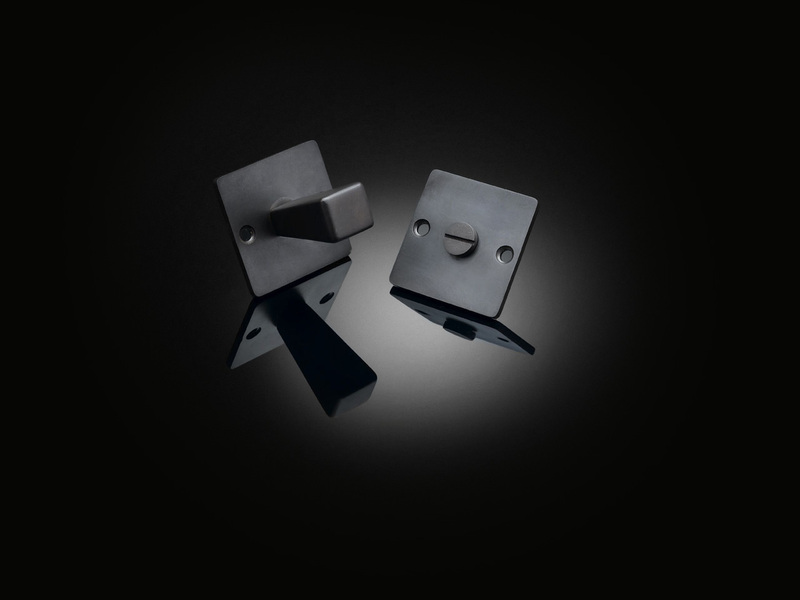 Like all izé luxury door hardware, the bathroom set is available in the full range of izé materials.